FREE Shipping in Continental USA only. All others, e-mail for shipping costs. For easy Credit or Debit card purchases, just click on "Paypal Checkout" button and then select "Pay with Debit or Credit Card" button below. Quality Products with FREE Shipping is here! GREAT product guys!!! Love the flexibility of the Rod Holders and Trees!!! They will be finding a space on the Old Whaler!!! www.bluewaterfishingproducts.com makes Affordable, Super strong, Super Adjustable- Rod holders, Trees, Cradles, Electronics mounts, Camera mounts, Spider rigging. 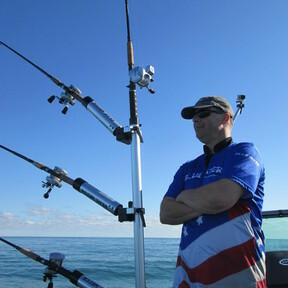 Our state-of-the-art rod holder systems are a must have for all fishermen. Built on a modular design basis and featuring aircraft grade aluminum and stainless steel fasteners, our rod holders and systems are a step above the competition, with unprecedented adjustability. Available in single, double, triple, or quad units. Quick and easy maneuvering up to 45 degrees in any direction and up to 90 degrees forward with a simple 3-step operation: loosen, move, and tighten lever; no tools required. 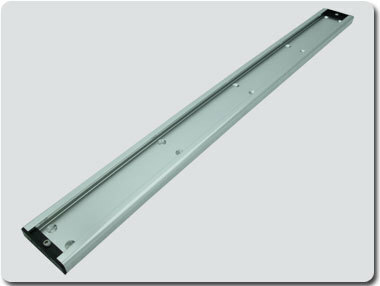 CLICK HERE to view detailed images displaying the intracacies of our revolutionary modular design.